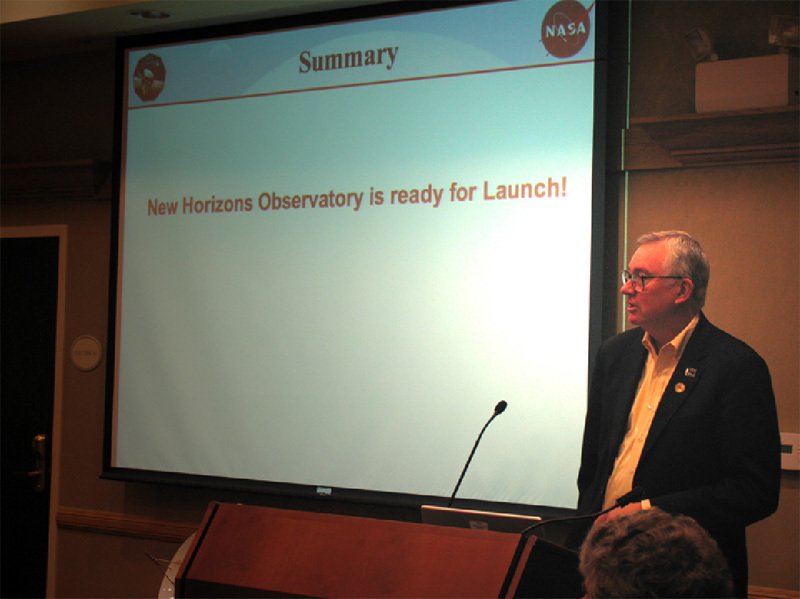 From Earth to Jupiter: "Tom's Cruise"
New Horizons continues to do well in flight — three weeks down and 492 to go. With more than 99% of the journey to the Pluto system still ahead of us, you might say we are just beginning — and we are. But we have retired much of the risk we worried about to reaching Pluto by getting a good launch and having our spacecraft perform well with most of its basic functionality now checked out. Recent tests have included checkout of our high-gain and medium-gain antenna communications, checkouts of the spacecraft's ability to autonomously find and point to the Sun and the Earth, and the calibration of our onboard gyros, technically called IMUs (short for Inertial Measurement Units). Probably the highlight accomplishment of the past week is that we have, for the first time, checked out and been flying the spacecraft in three-axis control mode, rather than as a spinning top. In this mode, the spacecraft gyros and control jets work in concert to point the spacecraft to any commanded attitude we select on the ground, and then hold it there to an accuracy (called a "deadband" by navigators), which we also specify by command. Most of the past week has been spent with the spacecraft's high-gain antenna pointing to Earth, which is the way we will fly most of the mission. The three-axis flight mode will be critical for science operations at Jupiter, Pluto and Kuiper Belt Objects. It'll also be important for some trajectory correction maneuvers (TCMs), and for some instrument commissioning and calibration activities. The only really off-nominal moments for the past week came in the wee hours of Saturday and Sunday mornings (wouldn't you know it) when the onboard guidance and navigation computer we are using (one of two we have aboard) reset itself, twice. This was caused by a known flaw in the onboard software code associated with navigation tasks using the onboard star tracker. The spacecraft team had already designed a fix for this, but that fix and various others are planned for uplink later this spring after thorough testing of the new software load. Although we got caught on this one by having the bug get us before the bug fix goes up, the reset went uneventfully and the spacecraft and its nav system performed as expected during the reset. Since this particular bug is a result of a being in spin mode, and we're now in three-axis, it's not going to re-occur anytime soon, if ever. In just over another week, we'll begin the multi-month process of checking out and certifying the capabilities of our seven scientific instruments. I'll have more to say on that in coming posts. For now, let's talk about our next TCM. Our mission design and navigation teams have elected to cancel TCM-2 so that we can track the spacecraft for several extra weeks and get an even more accurate bead on our trajectory before doing the final maneuver needed to clean up launch and early mission trajectory residuals. We'll likely do that maneuver on or about March 9, and it'll probably still be in the 1-2 meter/second range that was predicted last week after TCM-1B was completed. Now, however, the maneuver targeting will be far more accurate than it would have been, had we gone ahead with the more limited time base of tracking we would have had for the Feb. 15 burn. For obscure reasons, the TCM in March will now be called TCM-3. About the only other spacecraft news item worth reporting is that our comm. system is performing so well that we've been able to communicate at much higher bit rates than we predicted pre-flight. In fact, we routinely downlink data at speeds up to 104 kbps, roughly 2.5 times our original plan. Of course, much lower data rates will be necessary as our range to Earth grows and grows, but perhaps we will be able to best the 0.7-1 kbps data rates planned for at Pluto by significant margins as well. I sure hope so — since it'll help us get the data down faster during and after the encounter. We'll see. Since this has been such a quiet week on the spacecraft, I thought I'd wrap up with a story in this week's PI Perspective. 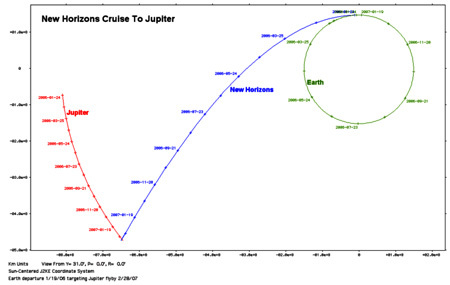 When we started New Horizons, as a proposal team back in the early part of 2001, we identified two major flight segments on the way to Pluto via a Jupiter Gravity Assist: we called these flight segments Cruise 1 and Cruise 2. Cruise 1 would take us from Earth to Jupiter. 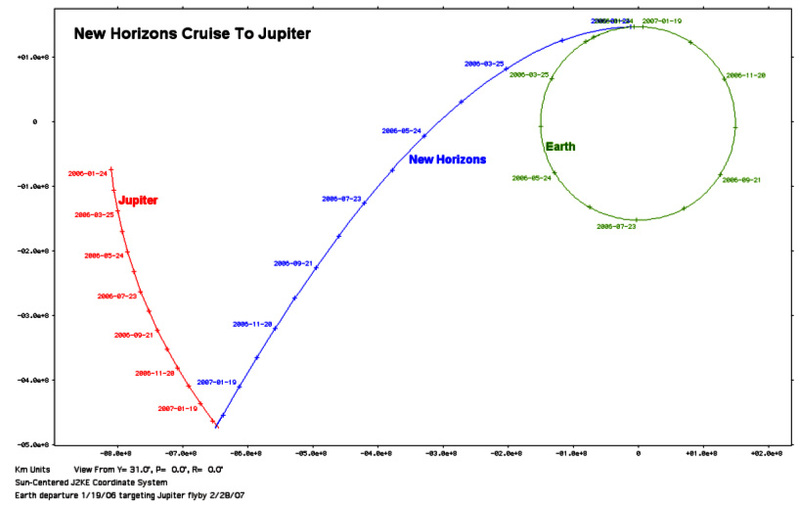 Cruise 2 would take us from Jupiter to Pluto. 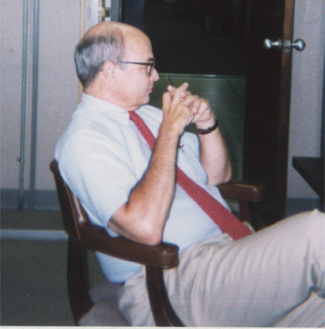 Owing to the pervasive presence and guidance of our project manager at the time, the Applied Physics Laboratory's Tom Coughlin, I re-named Cruise 1 "Tom's Cruise" back in 2001. 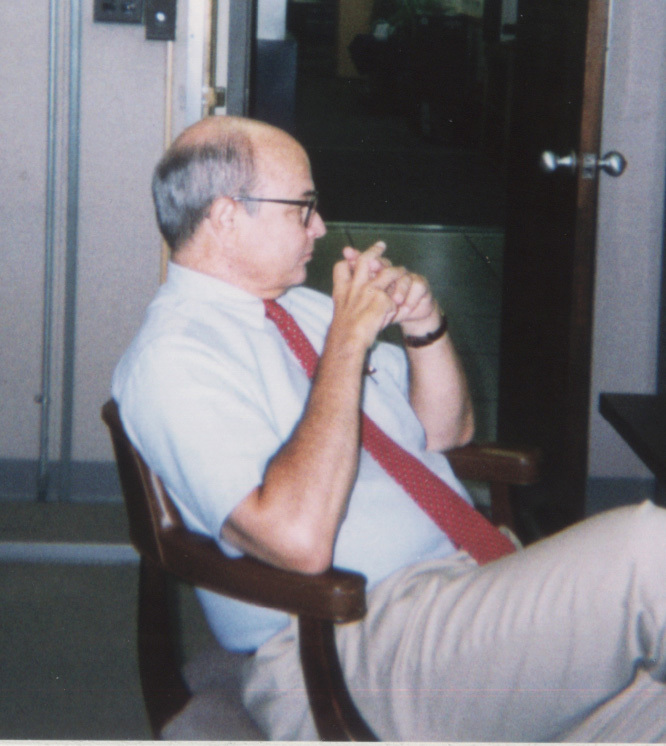 When Tom retired in early 2004, just after our Critical Design Review, we were lucky to get Glen Fountain as Tom's replacement. Tom and Glen are very different men, with very different management styles, but I honestly don't think we could have picked a better combination than to have Tom in the driver's seat for the proposal and formulation stages of the mission, and Glen driving during the build and test phase. In Glen's honor, I recently dubbed Cruise 2 to be "Glen's Glide." Now you can call the mission cruise phases by the same names we use.